Quality nylon calibrated cuff supplied complete with 2 tube bladder. Makes cuff changes a lot easier with no tricky bladder changes required. 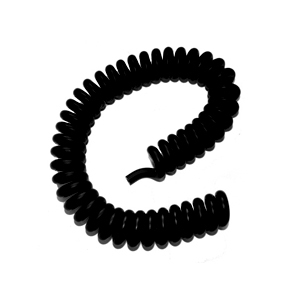 Suitable for use with most aneroid and mercurial blood pressure instruments. Quality nylon calibrated cuff. 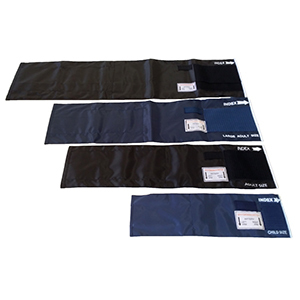 Available in 5 different colours(Navy Blue, Black, Red, Orange, Green). Please specify colour when ordering otherwise default colour is Navy blue. 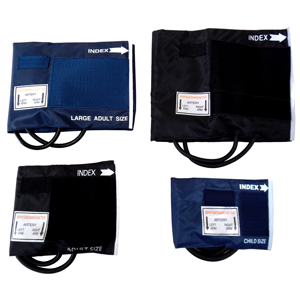 Premium Latex PVC bladders for use with most aneroid and mercurial blood pressure instruments. All bladders suite Add-Tech cuffs. 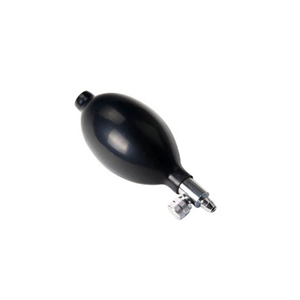 Latex free sphygmomanometer bulb with end valve. Air release valve with spring mechanism. Allows for fine adjustment on gauge. Both items ordered separately. 2 Meters of coiled tubing for when you need that extra reach from the sphygmomanometer. 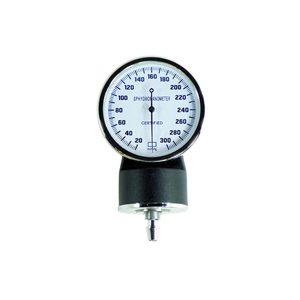 Calibrated aneroid sphygmomanometer gauge in zinc alloy case. 0-300 mmHG with Non stop pin. 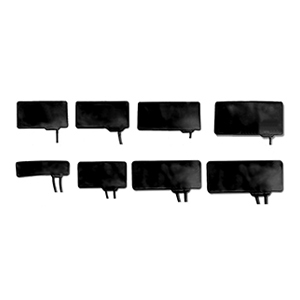 An ideal connector for converting blood pressure instruments to quick connect/disconnect or when using multiple cuffs for one sphygmomanometer. 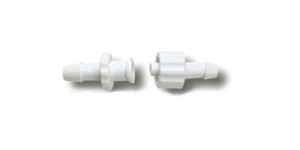 An ideal connector for converting blood pressure instruments to quick connect/disconnect or when using different cuffs for one sphygmomanometer. 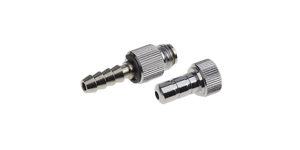 An ideal connector for connecting cuffs to coiled tubing.